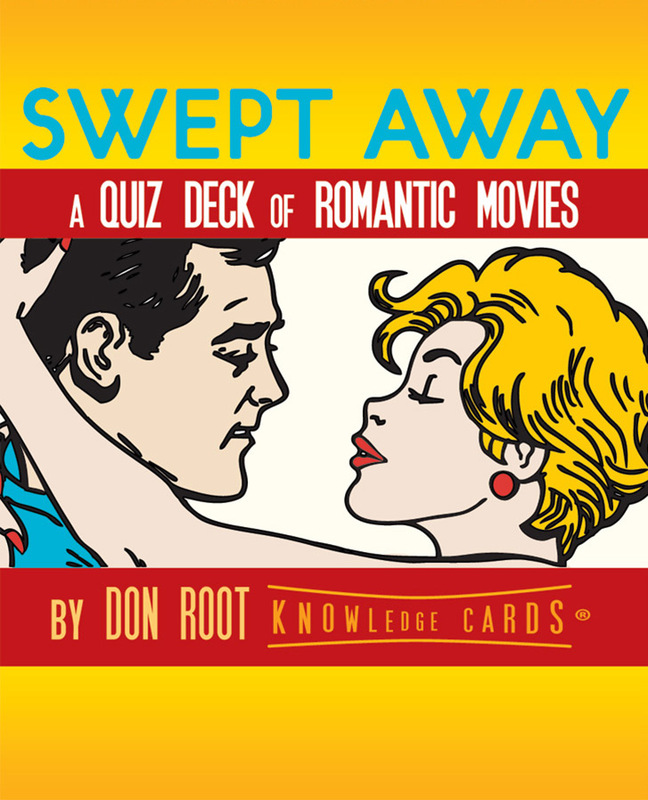 If you love romance up on the silver screen, this quiz deck’s got a date with you! From City Lights to Casablanca, from Gone With the Wind to Ghost—Swept Away tests your knowledge of romantic movies in a Q&A format enriched by informed, engaging prose. The 48 cards pose questions about plots, actors, directors, screenwriters, and more: Which fairytale romance launched Audrey Hepburn into stardom? What glamorous Hollywood icon graced the 1939 comedy NinotcChinaa? How many of Bill Murray’s romantic roles can you name? The card backs have the answers, along with entertaining background notes. Surveying eight decades of romance films, Swept Away is equally enjoyable as a solo read or lively multiplayer trivia game. Pass the popcorn, please!